This sibling pair stand a chance in the upcoming election if they want to challenge. They can set up or join other party. PAPand their supporters will keep maligning LHY and LWL in order to support PAP. Your parents never taught you not to kaypoh other people problems? Just a outright internet ban will do. Cut all underwater cables. Working till the last day of life at 91?? 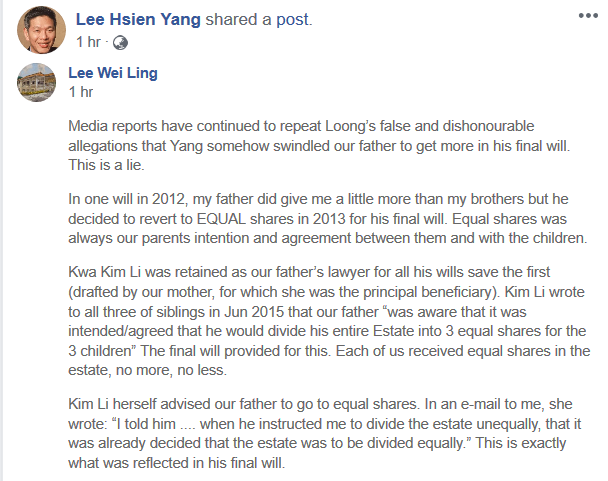 From this family aspect.. we can clearly see lky has totally lost his mojo at his later part of his life... makes me wonder how productive was he at work then?? And pap expects everyone to follow lky as a role model? tanakow said: Your parents never taught you not to kaypoh other people problems? If false allegation, we support WL to take media to court..
Current time: 22-4-2019, 4:24 AM Powered By MyBB, © 2002-2019 MyBB Group.